The Ceylon Electricity Board (CEB), Public Utilities Commission of Sri Lanka (PUCSL), North Western Provincial Environmental Authority and Environmental Foundation (Guarantee) Limited will sign an agreement on measures to address the environmental concerns at Norochcholai Coal Power Plant. The agreement is comprised of an action plan with long term and short term solutions to environmental pollution from fly ash and coal dust at the Lakvijaya premises. The action plan was based on the final report of the expert committee appointed by PUCSL to look into the issue. The committee was appointed following a fundamental rights petition filed by the EFL at the Supreme Court. A senior PUCSL officer said the agreement was finalised last Thursday and it would be signed in a couple of weeks. Several new machines are to be installed in the plant premises to control the coal dust. The CEB engineers working at the Norochcholai Coal Power Plant wrote to the CEB General Manager last week on the health hazards and other difficulties faced by them due to fly ash and coal dust. Power and Energy Ministry Media Spokesman Sulakshana Jayawardena, speaking on the measures proposed to address the environmental pollution concerns at the Norochcholai plant as per the action plan, said fly ash would shortly be used in cement manufacturing. He said the tender in this regard has already been awarded. “A wind barrier will also be constructed at the site to reduce the wind speed. The Ministry is in the process of buying lands adjacent to the Norochcholai plant to increase the buffer zone and create a green belt in it by planting more trees. The technical specification of coal procurement tender has also been modified to improve the size of coal particles. The improved standards have been communicated to the suppliers,” he said. 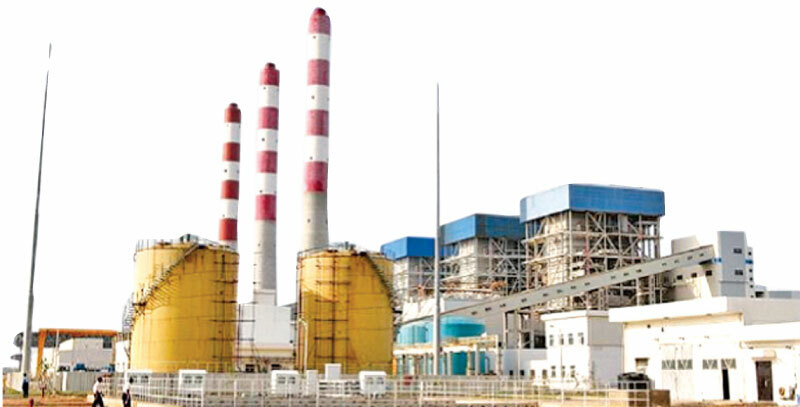 Jayawardena said the renewal of Environment Protection License (EPL) of Norochcholai Power Plant was still pending, but added that applications for the purpose have already been sent to the North Western Provincial Environmental Authority. Contacted by the Daily News, North Western Provincial Environmental Authority acting Director Saman Lenaduwa said the renewed EPL to the Norochcholai Power Plant would be issued shortly as the action plan is satisfactory. In the wake of environmental pollution concerns at the Norochcholai Power Plant due to fly ash and coal dust, the Central Environmental Authority has also sought a report from its District Office to study the matter. The report was due from Puttalam Office yesterday. CEA Director General Hemantha Jayasinghe said the CEA would take immediate action after studying the report. However, he pointed out the space for the CEA to intervene into the EPL issuance for the power plant is minimal due to the existence of provincial environmental authority. Very Glad to see some solutions for the problems of fly ash and the Coal dust at Norchcholai isCoal plant is getting solved which was overdue for a very long period of time. Hope the plant authorities will maintain such suppressions of pollution well under control with some permanent solutions. If these were done earlier all the protest to stop the Sampur Coal plant could have been avoided. High carbon in fly ash itself shows how inefficient the coal burning is which is a loss to the country and the consumers finally. Hope the final permanent solutions will also be put in place soon. The Cement Corporation manufacturing plant at Kankesanthurai should have been reconstructed by the government and this fly ash used for the manufacture of cement. Having such a large volume of of basic raw material of clinker deposit in the North, it is surprising that we have chosen not to use our own raw material. The continuing selling of our potential resources to outsiders when we have capable qualified people to run it, is to be deplored. The failure at most of these places is due to political meddling and interference,mainly corruption that follows. BIT LATE IN DAY. I BROUGHT THIS MATTER UP WITH THE MINISTER AND THE SEC POWER FERDINANDES BEFORE THEY STARTED THIS PROJECT. JUST TO COVER ANY CONCERNS. BUT I WAS ASKED TO VACATE THE MEETING AS I WAS A DETRIMENT TO THE PROJECT. I WAS ALSO SOMEONE WHO DIDN'T ACCEPT ANY MONEY TO VIEW THIS PROJECT WITH ROSE COLOURED GLASSES. I WOULD ALSO LIKE TO STATE THAT I AM NOT IN ANY FASHION AS ENVIRONMENTALIST. JUST A HONEST LANKAN WHO KNEW TOO MUCH ABOUT THE PROJECT AND ITS OUTDATED EQUIPMENT.